Welcome to SCES Air Conditioning! 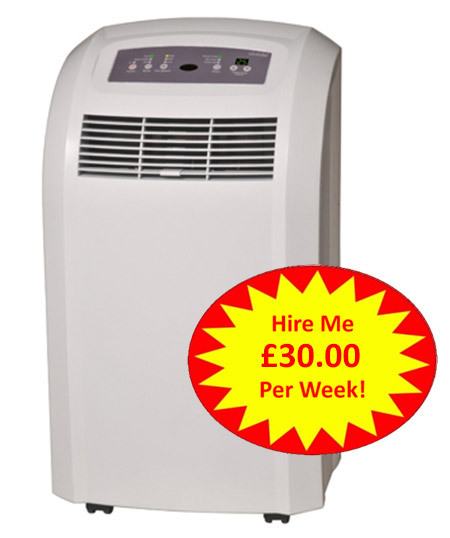 To the left our ever popular portable 3.2 kw, 12,000 BTU air conditioning unit. Keep an area or room cool even in the hottest weather. Its sleek modern design and quiet fan operation means you remain cool without undue noise. 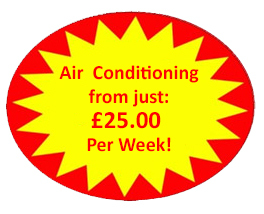 Lightweight and easy to move around this model can be hired for just £25 per week. Suitable for the home or office! Special discounts for long term hire. This unit is also availabe for sale. Please contact us for details. 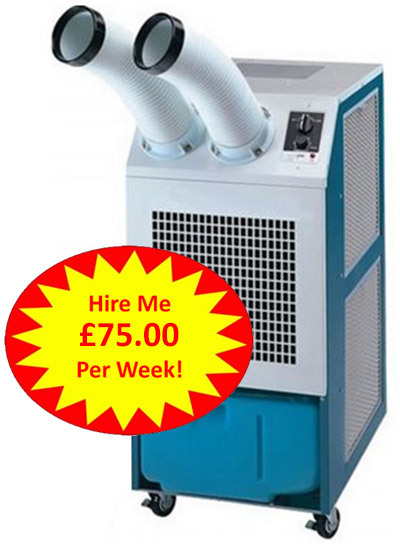 We offer a wide range of hire goods including fans, air movers, dehumidifiers, evaporative coolers and heaters for both sale and hire.